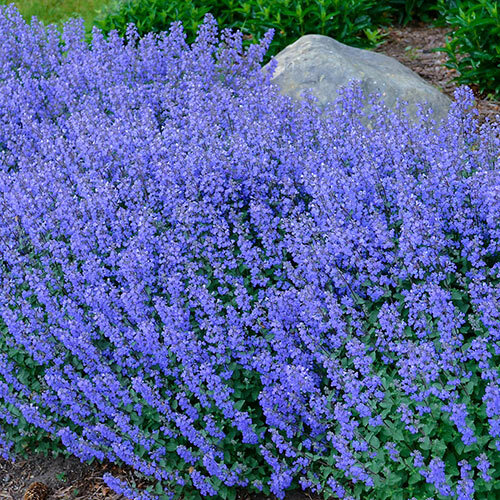 Purrsian Blue Catmint - Nepeta faassenii | Michigan Bulb Co.
Foliage TypeNarrowly ovate to lance-shaped, aromatic, grey-green leaves. Flower FormTiny, trumpet-shape flowers coddled by calyxes above foliage. 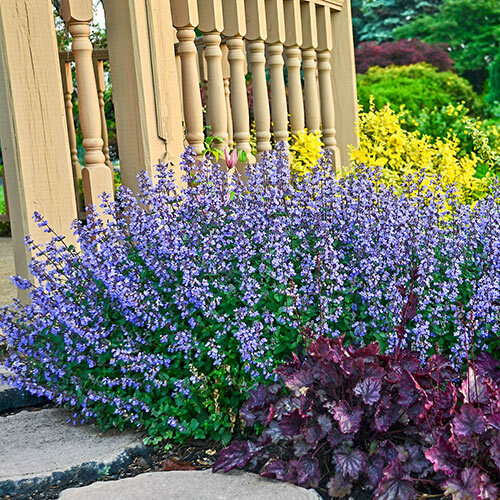 PruningDeadheading does not promote re-blooming, but does help appearance.